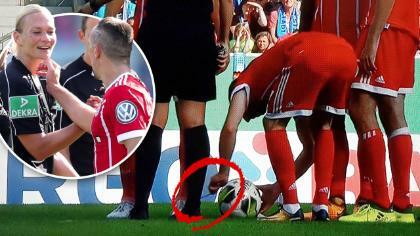 Franck Ribery was in a playful mood during Bayern Munich's DFB Cup first round tie against Chemnitzer. Steinhaus saw the funny side of it and was seen laughing with the Frenchman prior to the kick being taken. Once the laughter died down there was only a small matter that had to be attended too....the free-kick.